Unparalleled Head, Foot, and Lumbar Articulation. 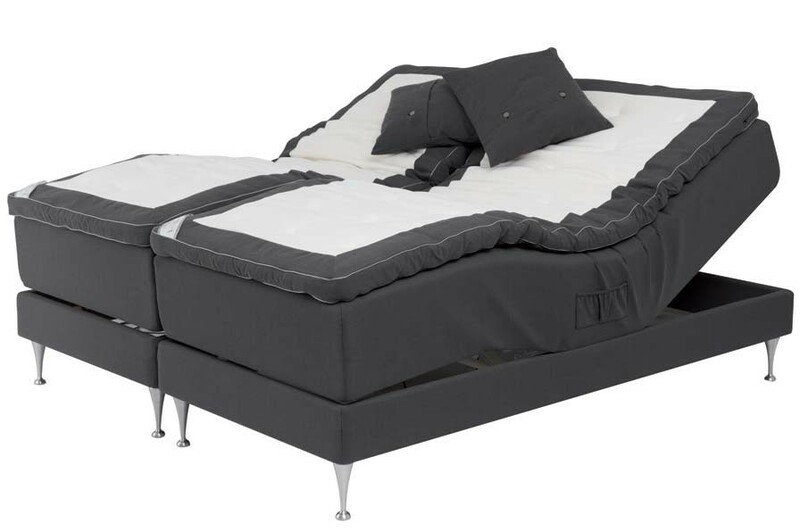 The Marstrand by Carpe Diem is an adjustable bed that promises to provide a high degree of personalized comfort. A Patent Pending lumbar adjustment feature is the key to the Marstrand’s superior level of adjustability, giving this luxury bed the ability to support each curve of your body with unmatched head, foot, and lumbar articulation. Exclusive Top Mattress. Lined with soft cotton and certified New Zealand wool. Longitudinal X-Pocket. Spanning the Skafto widthwise for motion transfer control that promotes freedom of movement, without sacrificing support. Handcrafted Wooden Frame. Rest with a clear conscious knowing that the Skafto is made entirely of premium hand-selected pine from Sweden’s sustainable forestry operations. Only the finest all-natural materials are used in the hand-assembled Marstrand bed by Carpe Diem. From Top Mattress to Dove-tailed frame, each element of the Marstrand bed is certified by world renowned standards for environmental sustainability. All Latex is oko-Text environmentally approved to deliver full body comfort that is free of allergens and hazardous chemicals. The Marstrand bed is topped with sumptuous layers of 100% organic cotton and all-natural New Zealand wool for added comfort with minimal environmental impact. For an Eco-friendly touch, this bed rests on a foundation of premium pine that is hand selected from sustainable Swedish forestry operations to ensure a more environmentally responsible means of harvesting materials. And with the coveted Swan eco-label certification, you may rest on the Marstrand bed with a clear conscious, knowing that you have purchased a luxurious nighttime escape that will have a mininal impact on the Earth throughout its lifetime. The Marstrand by Carpe Diem is a remarkable luxury bed that must be experienced firsthand. Brickell Mattress is proud to be the only luxury bedding store in Florida to carry the world-renowned line of Carpe Diem beds. For an exclusive showing, please call Brickell Mattress at 305.326.4000.